Top to bottom, L-R: Papa Lucius, baby Lucia and Mama Sarah; baby Lucia; enjoying a snuggle with dad; and then there were three! I was late to get a midwife - 36 weeks! - and really wasn't sure if I could be accommodated, but thought I would try because I was lacking a more personal experience with my OB at the time. I was so happy when Uptown Midwives told me they had a space for me and my baby! (Midwife Note: you never know until you try! Uptown Midwives reserves a few spaces specifically for people late-to-care, newcomers, or those with no prior prenatal care or health insurance from our community). As a first time mom I was terrified of not only birth, but handling a newborn and many of the baby’s needs I was previously uneducated about. My midwives (Aynsley and Ildiko) made my experience absolutely beautiful because they took the extra time to listen to my concerns and explain things in great detail until I fully understood and felt comfortable with the birthing process and my aftercare. My anxiety around that process and not having had the extra time and attention from my first provider had left me feeling uninformed and scared. But the care I received was just invaluable and I'm thankful I switched before giving birth! 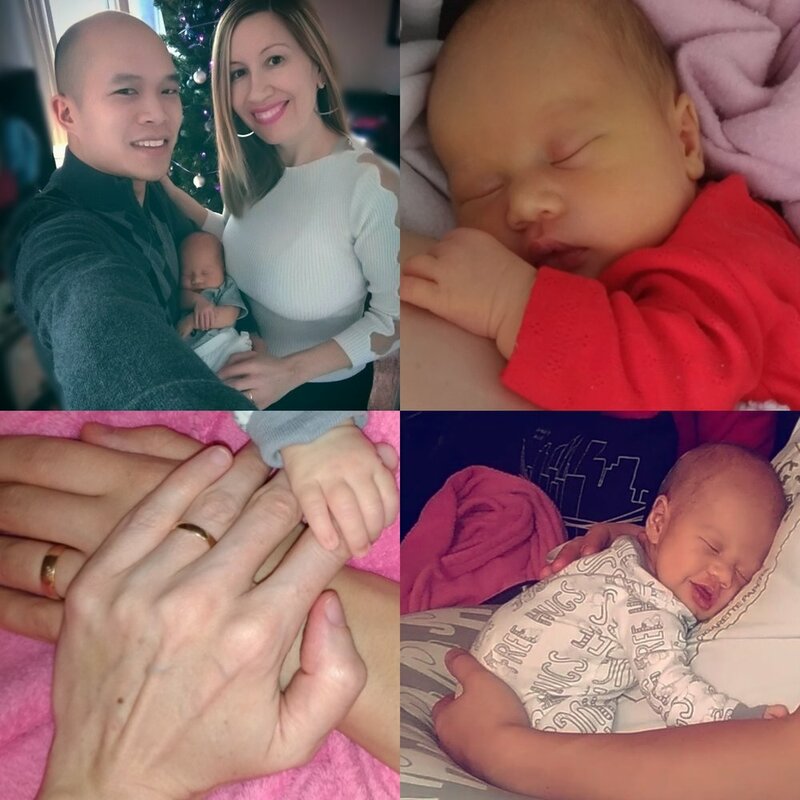 Ildiko delivered my baby and stayed with me and my family the entire time and explained every detail of what was happening during my birthing process - this made me feel secure and comfortable. Both women have followed me and my baby after the birth and come to see us at home so I could focus on healing and my baby. It's just made my life so much easier to be able to have that extra time at home. I strongly urge moms to go with midwives because I truly believe that without them my experience would not have ended as smoothly and calmly in the end!